BROCKTON, Mass., Nov. 28, 2018 /PRNewswire/ -- Atrenne Computing Solutions, a Celestica company, announced today that they received a gold award at the 2018 Military & Aerospace Electronics Innovators Awards for their D2D-34S ATR chassis. 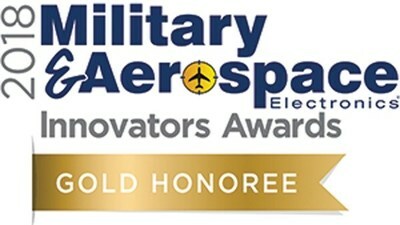 The Innovators Awards recognize companies offering substantial military, aerospace, and avionics design solutions. "We're honored to receive the gold award from Military & Aerospace Electronics," said Jim Tierney, Atrenne's Vice President, Aerospace and Defense. "This flexible D2D chassis helps our customers reduce costs and simplify schedules by allowing them to seamlessly go from lab to deployment."